Avekshaa was founded by veterans of software performance engineering industry, who have collectively delivered over $300M annual revenue in the business of Performance Engineering and Validation. They have more than 100 years of combined technical and business experience, and have successfully delivered more than 200+ complex engagements. 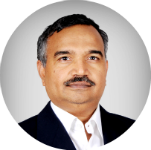 Rajinder Gandotra is a Founder Partner at Avekshaa. He was formerly an Associate Vice President, Principal Technical Architect and Management Council Member at Infosys Technologies. While at Infosys Rajinder envisioned and built the Performance Engineering Practice which has successfully delivered 200+ engagements, including 20 critical risk projects. These projects delivered significant savings (90% of the applications have seen > 40% improvement in response time or utilization reduction) and won several awards including Top2 Technology Excellence awards. He has been the driver for thought leadership in this area and his team has published 20+ papers in this space. Rajinder was also responsible in building the Technology Consulting Practice for Finacle (Infosys' Universal Banking solution) and setting-up its product benchmarking practice. 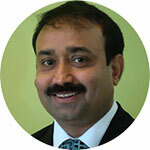 Rajinder is an engineering Graduate in Electronics and Communication. worked for large global SI firms heading key strategic functions eg: India BU head at TCS managing over 400 million $ , emerging markets head at Cognizant and BFSI leader for IBM ISA. Passionate about building engineering teams to deliver high quality products. Successfully delivered multiple products and platforms. Co-founded a technology start up to build online synchronous education platform. 25+ years experience in building consumer embedded products and Cloud hosted products in multiple technology domains. Renowned for his financial and business acumen, Mr. Balakrishnan has held leadership positions in Finance and is an expert in Corporate Finance, International Taxation, Risk Management and Mergers & Acquisitions. He served as the Chairman of the Board at Infosys BPO Limited, and as the Chairman of Infosys Lodestone. 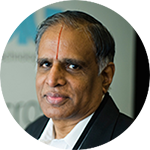 He was a Director at Infosys Technologies Australia Pvt. Ltd. and Infosys Consulting, Inc. He also headed the BPO, Finacle & India Business Unit at Infosys Ltd. He is a recipient of the "Best CFO" award from CNBC and Finance Asia. He is currently Founder & Chairman of Exfinity, a Private Equity Fund. 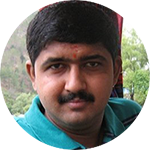 Manish Kumar is currently working as Assistant Vice President with KITVEN Funds (Karnataka Information Technology Venture Capital Funds). He has rich experience of over a decade in VC investments covering the entire gamut right from deal sourcing, scrutinizing, due diligence, feasibility assessment, board representation to exits. He has been represented in 5 assisted units at Board level and has undertaken responsibility on behalf of KITVEN Funds. He is currently managing KITVEN Fund-2 with investible corpus of Rs. 26.50 crore with focused sectors including Information Technology, Bio Technology and other knowledge industries. Earlier, Manish has managed successfully Rs.15 crore VC Fund started in 1998-99 and investments made to the tune of Rs.17.56 crore in 17 units. Some of the key investments include ReIQ Software, Logix Microsystems, Indegene Life Systems, ILANTUS Technologies, ECAD Technologies, Telibrahma, Comat, Brickwork, Inknowtech, 24X7 Learning, etc. Mr. Joseph J. Dehner is a Counsel to US and Indian technology sector businesses. 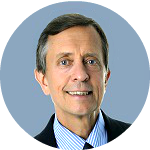 He is an author of numerous technology and global business publications, including US joint ventures text for Thomson Reuters. In his personal capacity he has invested in many technology sector start-ups. He is chairman of several advisory boards. He is honors graduate of Princeton Univ. and Harvard Law School. He is recipient of several national levels awards in the USA. He is currently chairman of international services group, Frost Brown Todd, LLC. The professor is a widely acknowledged academician and technology guru. He has taught at top-notch Indian institutions like IIT Kanpur, IIM Bangalore and has guest lectured at leading universities across the world: MIT, Stanford, Purdue, Nijenrode, UWS, etc. Mr. Ajay Goel was the former Managing Director for Symantec Corporation for India and SAARC countries. 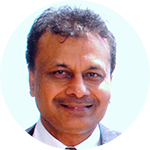 He served as SVP for the Industry Business, Strategy and Operations for Cisco Systems, SAARC. 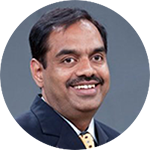 He was also the Country Director, India Business Operations at Sun Microsystems (now Oracle). A recognized industry personality, he is an active Rotarian, a Paul Harris Fellow, a Louise Marchese Fellow, a Member of the American Chambers of Commerce, and a member of the CII National Committee on IT & ITeS 2011-12. He is a Stanford Business School alumnus.